These enchilada's knocked my socks off! It is the culmination of three delicious recipes topped with melted cheese! You can easily make all three components to the enchiladas ahead of time and freeze. The only part I would suggest cheating on are the tortillas. Enchiladas are traditionally made with corn tortillas anyway, I just happen to prefer homemade flour ones. Put 1/4 cup of enchilada sauce in the bottom of a 9 x 13 baking dish. Fill tortillas with chicken filling. Roll up and place seam down in baking dish. 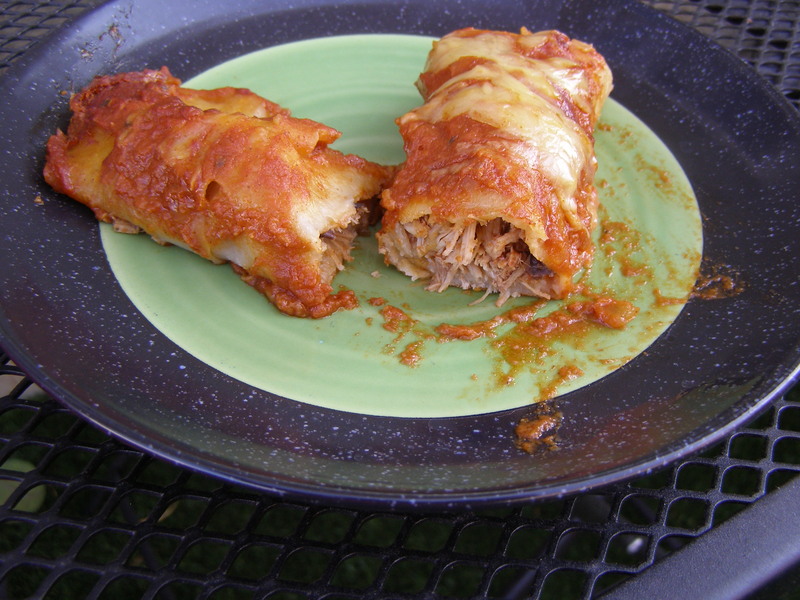 Pour remaining enchilada sauce over filled tortillas. Sprinkle shredded cheese on top. Bake at 375 degrees for about 30 minutes, until hot and bubbly.